According to a report of the World-Wide Fund for Nature, Indian banks face the risk due to exposure to sectors vulnerable to water risk. New Delhi: Thirty-nine percent of the credit exposure of Indian banks is to sectors that ‘face high levels of operational water risk’, according to a report of the World-Wide Fund for Nature (WWF) – India. The report identifies sectors such as agriculture, power, metals, textiles and wholesale trade as those for which water is a critical resource. Among the sectors, the report noted, the banks’ exposure to agriculture, at 13%, is the highest. “With more than 90% of total water consumption in India coming from the agricultural sector, water scarcity and drought are key issues for this sector,” it said. Citing instances of full or partial shut-downs of power plants due to water shortages, the report said that the power sector, too, remains vulnerable. Decreasing river flows, floods, downstream water demands and legal actions by civil society groups, could also affect the power sector. 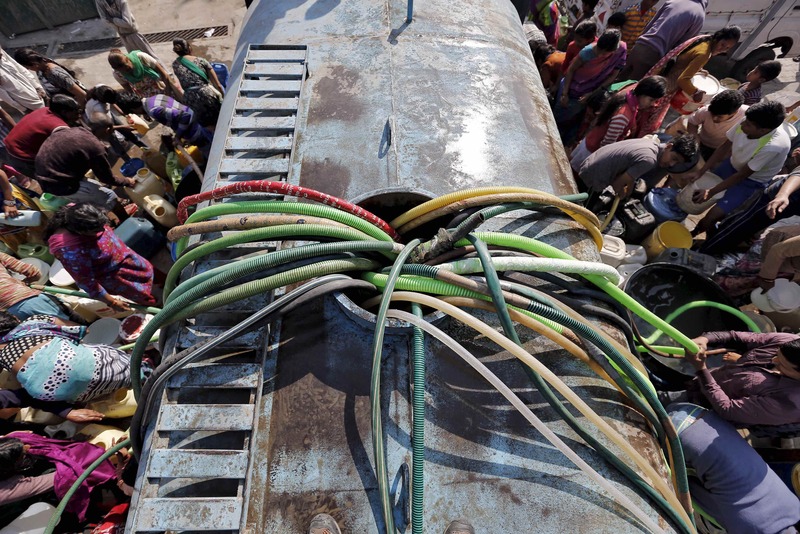 According to a report of the NITI Aayog in 2018, India faces it ‘worst water crisis’. The country’s demand for water could exceed supply by 2030 and almost 600 million Indians could face ‘extreme water stress’. The think tank also said that 21 major cities could run out of ground water by 2020. Potentially, India could lose 6% of its GDP by 2050. Building on the NITI Aayog, the WWF surveyed 13 commercial banks in India who represent about 30% of the total assets of Indian banks. The survey found that 67% of the banks do not use any tool, methodology or framework to carry out a water risk analysis before deciding on lending to a project. The survey also found that 50% of the banks do not conduct any kind of environmental, social and governance (ESG) due diligence. Even among the banks which do conduct ESG due diligence, “no bank has holistically integrated elements specific to water risks within their credit policy and hence, water related risks do not factor significantly in the credit appraisal process,” the survey found. The report concluded that 75% of banks do not have a mechanism to evaluate their water risks before making lending decisions.